“Figs grow in the area in abundance. Simply roasted they make for the perfect evening snack and combined with Medronho the local spirit made with native fruit and the fresh goats cheese that offsets the sweet figs you have a really delightful plateful." To make, quarter the figs and put into the roasting dish, drizzle over a couple of teaspoons of honey, add the Medronho. Give a 5 minute blast of heat so the points of the figs char and then lower the temperature and bake for 30 mins. Keep an eye on the dish and if the syrup that forms starts to set add a little water. 10 minutes before the 30mins of roasting is up, pop the loaf in to warm through. Serve with a chunk of the fresh cheese, drizzled with honey and the sticky figs and their syrup next to the cheese. Tear the basil over the top and finish with a little pinch of flaky sea salt. Tear the loaf up and use its hot rough edges to mop up the syrup and assist with the eating of the hot figs and fresh cheese. 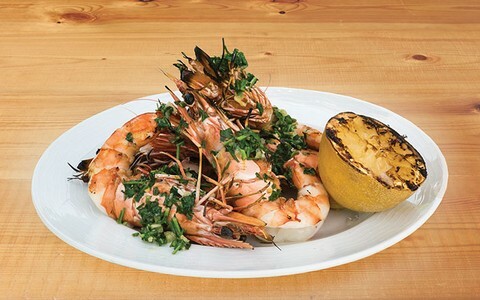 This dish works well as a starter, evening veranda snack or after supper with a glass of Medronho on the side. Grilled with garlic, chilli and olive oil, a grilled lemon and parsley. 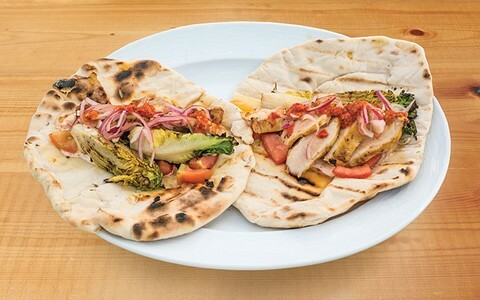 Chicken Piripiri in homemade flatbread wrap. 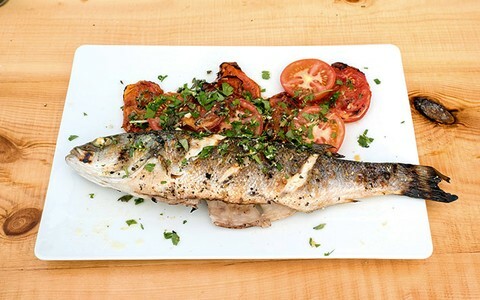 Grilled Seabass with a lemon and oregano. 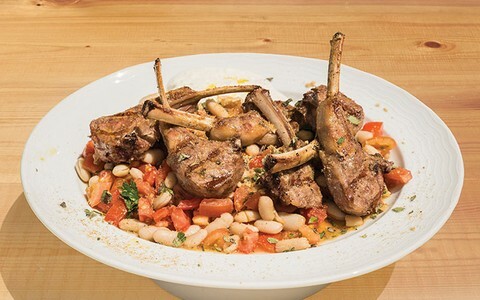 Grilled lamb chops- oregano, garlic, lemon, sourdough crumb. Fique a par das ofertas do Four Seasons Fairways! © Four Seasons Fairways 2019 - Todos os direitos reservados, Four Seasons Fairways, Quinta do Lago, Apartado 2132, 8135-024, Almancil, Portugal.